​​​ MIDLAND – Construction officially began on the Apache Corporation Regional Office project with a groundbreaking ceremony. ​The new three-story building will consist of 70,750 sf of office space and other amenities, including a day care, cafeteria/dining, fitness center, conference center and a physician's clinic. 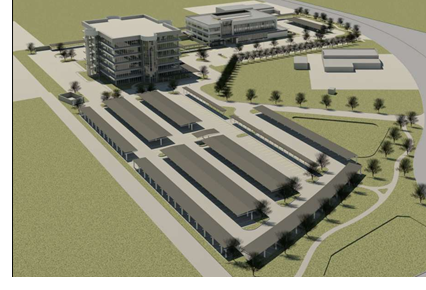 The project is adjacent to Apache's existing regional office located on Veterans Airpark Ln. Substantial completion for the new office building is scheduled for fourth quarter 2018.